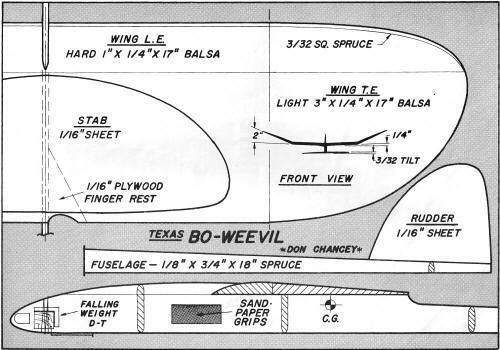 Here are plans for the Texas BoWeevil that I electronically scanned from page 23 of my purchased copy of the October 1972 American Aircraft Modeler magazine. 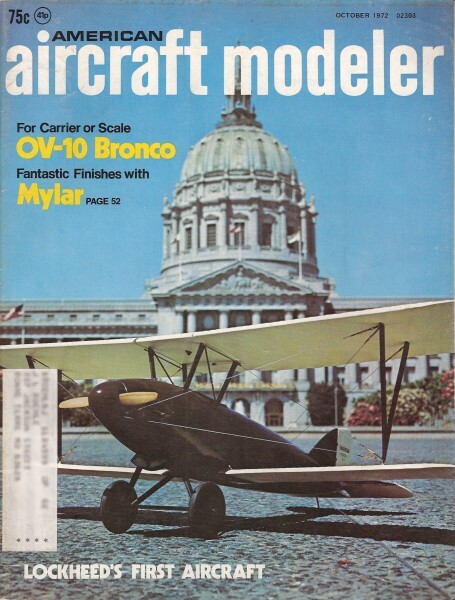 The BoWeevil is a hand-launched glider that won 1st place in the Open and 2nd place in the Senior categories of the 1970 AMA Nationals in Chicago, followed by other wins as well. You might be able to scale up the image below if suitable plans cannot be located. Plans for this fine model were drawn by Mr. Don Chancey. All copyrights (if any) are hereby acknowledged.